During the summer we were fortunate to spot a lone dolphin out in Weymouth bay. Initially we thought he was just passing, however we now see him regularly from Snapper Charters on our fishing and sightseeing boat trips. We have christened the him ‘Dave the Dorset Dolphin’ and he is now considered a local! We have been working closely with Dorset Dolphin Watch by reporting each siting along with relevant information such as time of day, position and state of the tide. They are trying to collate as much information as possible about him to keep a record of his movements. 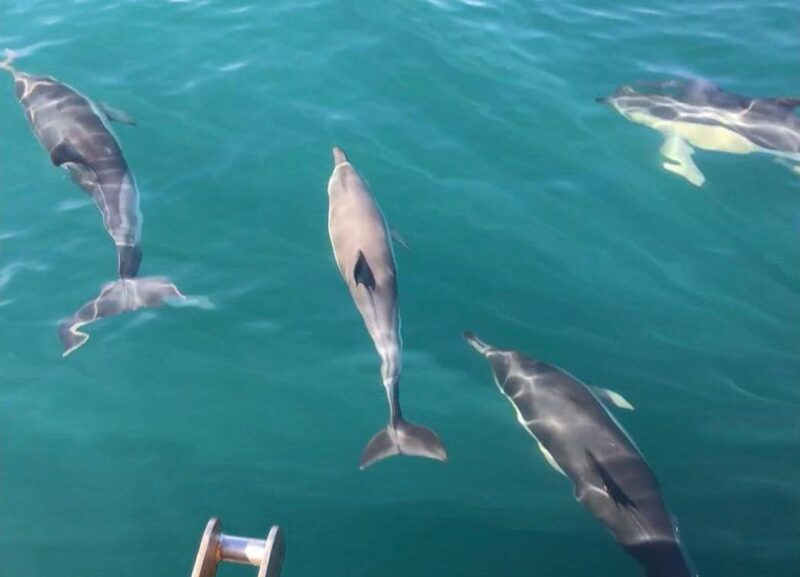 Dorset Dolphin Watch have even been out with us during National Wale and Dolphin Watch Week to try and spot him from the boat, although he was elusive on the day of the trip! Dave the dolphin is a a male bottlenose dolphin and is large for his species. Although dolphins typically swim in pods he has only been spotted on his own. There is obviously lots of food around to keep him happy! The dolphin has been spotted in Weymouth bay, although he can usually be found in Portland Harbour. Sometimes he rides beneath the bow of the boat and jumps out of the water. Other times Dave is mellow and swims alongside. 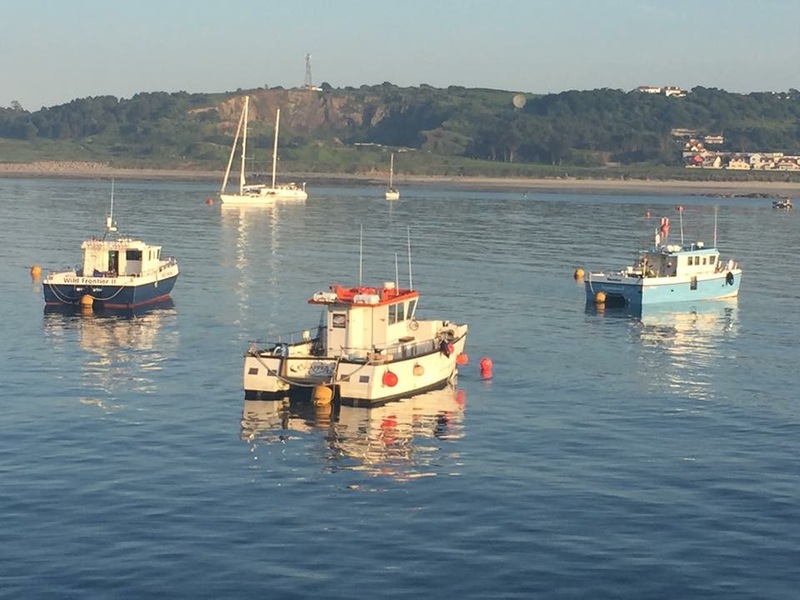 Local commercial fisherman have also reported that he often comes up and nudges their boat whilst they’re fishing! In the summer we had been chartered as a filming platform by local video production company, Harbour Media when Dave the dolphin made an appearance just outside of Weymouth harbour entrance. He spent a long time playing around the boat and we got some incredible drone footage of him alongside the boat! Although Dave is our favourite dolphin, we’re lucky enough to spot dolphins throughout the year. We don’t usually spot them as close to shore as Dave – we usually see them in the middle of the English Channel during our wrecking or channel islands fishing trips. We have even seen really big pods riding beneath the bow, which was spectacular!